With recent news of gypsy ORC crews running rampant in Toronto and spreading into the United States, it is more important than ever for retailers to not only have the manpower to prevent theft, but the proper tools to accomplish their goals. EAS tags working in conjunction with an EAS system is a fine first start, but today's shoplifters are smarter, more organized, and more technologically advanced than they ever have been. The recent Toronto crews utilized EAS jammer devices to block EAS fields from pedestals and other systems, allowing them to stroll through a system worry-free. WG Security Products, the company that brought you the revolutionary Seal Tag for wardrobing prevention, also provides the highest quality EAS systems in the industry today. 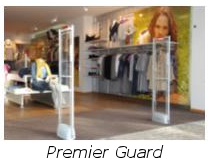 Our line of pedestals and concealed systems all feature sophisticated anti-jammer technology. WG systems are designed to detect any disruption of their EAS field, and will alarm in these instances. 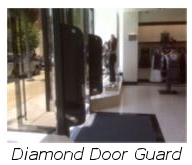 All of WG's signature systems; Ad Guard, Sky Guard, Door Guard, Premier Guard, and Floor Guard come equipped with this advanced technology. 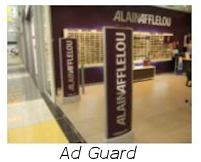 With WG, retailers can stay one step ahead of the shoplifters. Visit www.wgspi.com for more information on our technologically innovative solutions.